An email autoresponder is a software on a computer that is automated to reply to any email it receives. This program can also be used to market products and services according to a person’s subscription. There are many programs out there that offer this service as a marketing tool. Not only is it efficient, but basically does all your work for you without a glitch. Which leads us to ask what is the best email autoresponder in the business? 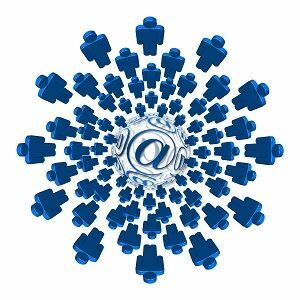 This article will include some Email Autoresponders in the business, as well as their importance. As previously mentioned, they are a marketing tool that works without fail. Therefore, at any time of the day, whatever you want to reach your customer, will. This is great news for your business in terms of increasing sales and customer product knowledge. When it comes to an autoresponder, it helps to have a welcoming email that will draw in the recipient. However, being the very first response to a subscription, it should include a layout of future emails. This will assure that you have made a lasting impression and connected with the consumer. You can put your best foot forward and showcase a detailed email of your company and goods. Also, it would help if you have a way to retain an email list of your subscribers. This way any new offers in place applicable to the people on the list will reach them easily. A short but important piece of advice that the recipient can undertake will build trust. For example, allowing the customer to ask a question and giving them true relevant answers. Having done this will make the whole experience memorable for your user, ensuring they will come back. Provide extra platforms for the people on your list to communicate with you, like Facebook. 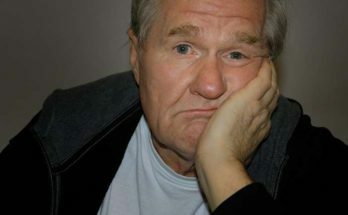 Some users will feel more comfortable to use a social networking website and open up about what they think. This will give you valid input on how to improve; your business as well as how to increase your customer base. Make sure to deliver on what you assured the customer on in the welcome message. Having done this your message shouldn’t sound automated or generic to the receiver. Make it interesting enough that you will allow your customer to relate to the product. Planning ahead on what you will have in the whole series of autoresponder emails is crucial. This will assist you to keep tabs on everything you have already delivered and what updates you should include. This will help you avoid recycling old information and keep things fresh for your target group. These are just a few ways to recognize what is the best email autoresponder for your business. 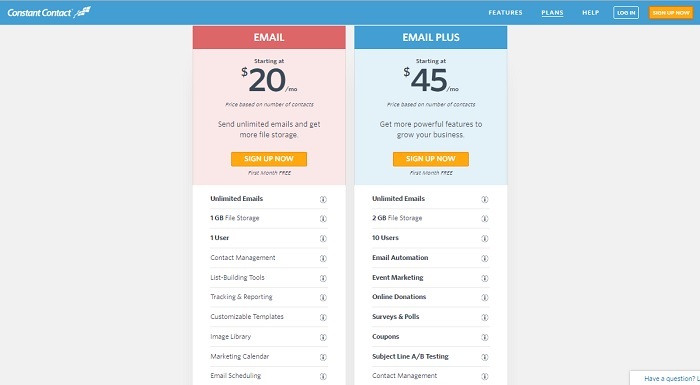 There is a good deal of Email Autoresponder services out there; the following are but a few. This is a superb marketing tool as it is very easy to use making it one of the most widely used. Another factor that it attributes to its popularity is the option of using it for free for an unlimited amount of time. If you want to begin using an email marketing tool, then depending on your requirements this could be a good choice. It gives you a guide on how to set up and use it in the contact section whenever you run into an issue. 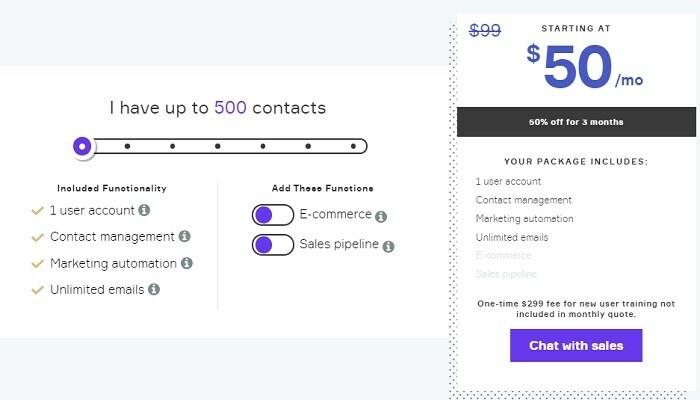 MailChimp basically does all your initial work for you as well as market for you. It separates your email list into categories, keeps records, and merges with other blogging platforms. Another widespread email autoresponder service, GetResponse, is suitable for starters. It is very simple to operate. If you have a small scale business then you have found the marketing tool that will serve you best. 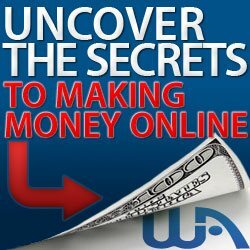 It allows you to build up your very own advertisement and group your email list. This will help you know what to send to a certain class of your clients. In addition to that, it keeps track of all the content and people on your list. It comes as no surprise that Constant Contact is one of the widely used marketing tools. With its simple interface, it is easy to manipulate anything from your email lists to accounts with ease. If you happen to take marketing seriously then this is the option for you. 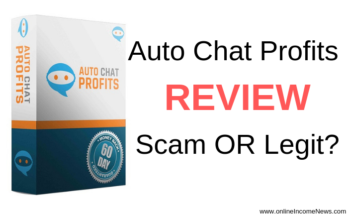 Provided you manage a company which has members who range in the tens of thousands, this autoresponder is suitable for your needs. If you are planning on starting small and building up to a large email list Aweber will be most helpful. It assures that your emails are not only received but read. With their large number of tools to choose from, Aweber is suitable for more than just small-scale businesses. 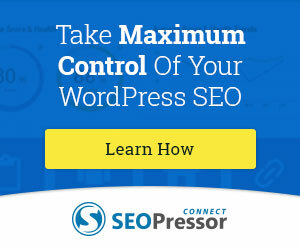 It can smoothly connect to a wide range of online network blog providers. The built-in model that allows you to manipulate your email list has a very specific guide for following records. 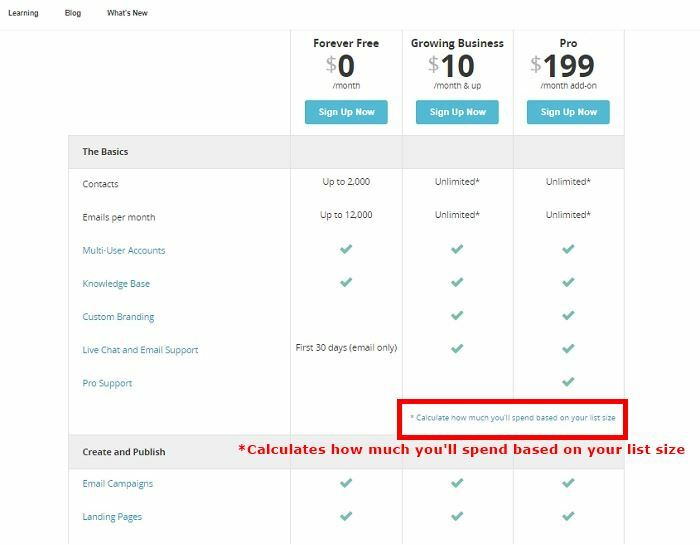 The subscription per month starts at $19 with a free signup trial for 30 days. 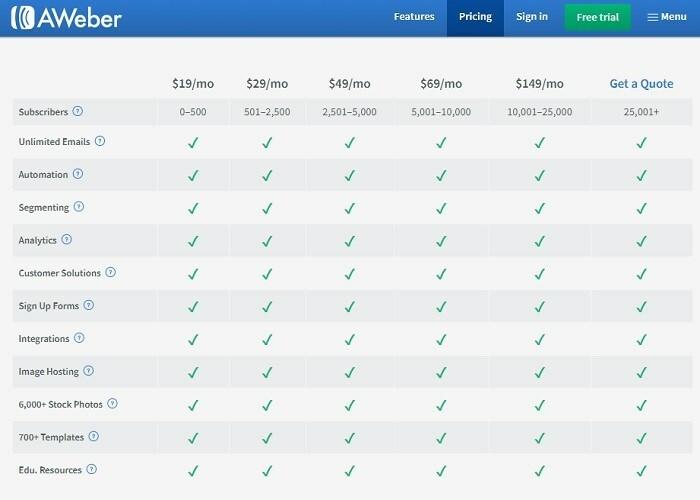 We have examined the best email responders with various price plans, from free to expensive. At the end of the day, we get what we pay for! Sometimes cheap works out more expensive in the end. 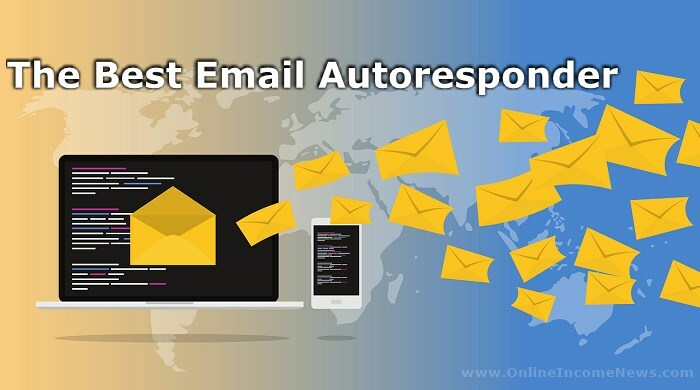 As all these email autoresponder services are competing with each other if the price is free or cheap then you can be sure they are not providing a feature which you may need. For me personally, the best email responder service is AWeber. 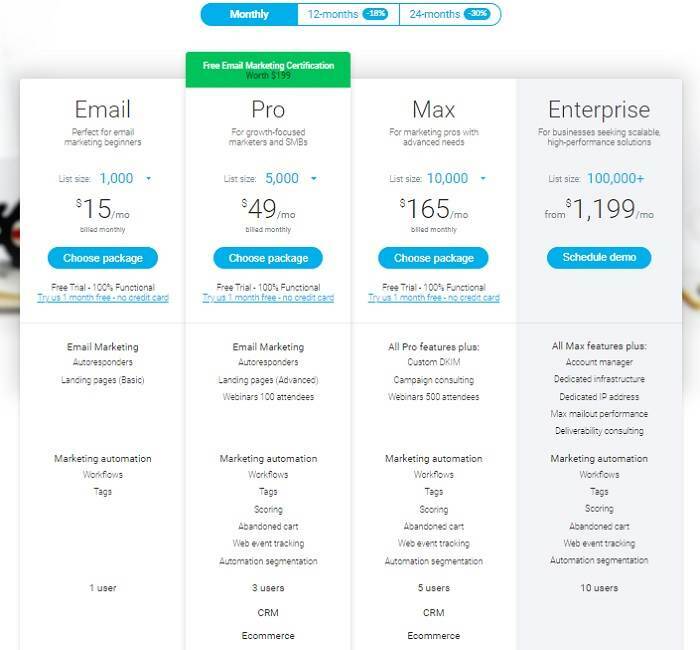 I have in the past tried some of the other email autoresponder services however I find the customer service AND features of Aweber work best for me. Sign up for a free 30-day trial. I hope you enjoyed this post and if you have any questions about email responders or you just want to leave your own personal experience, leave a comment below. I would love to hear from you!